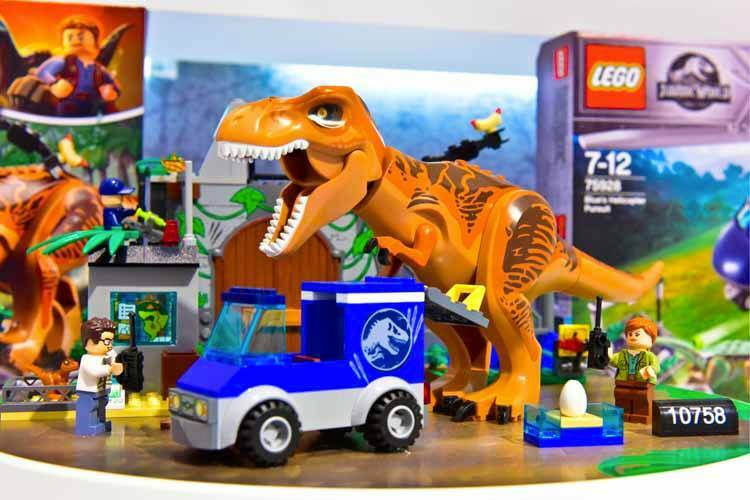 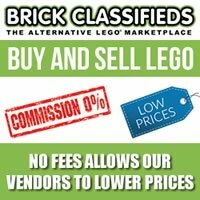 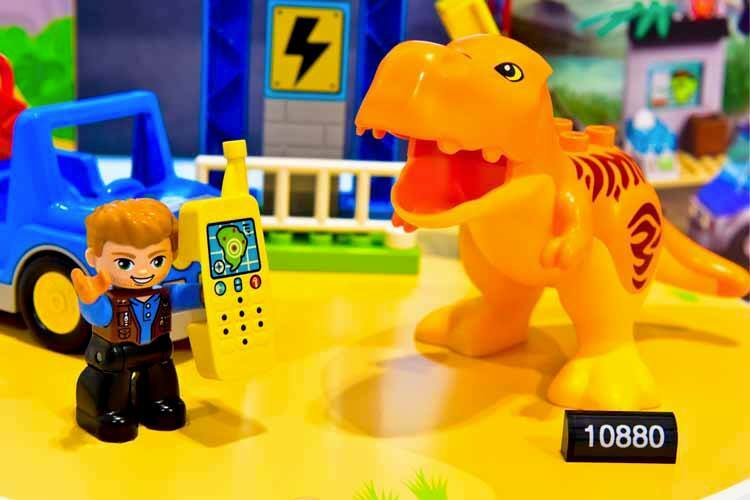 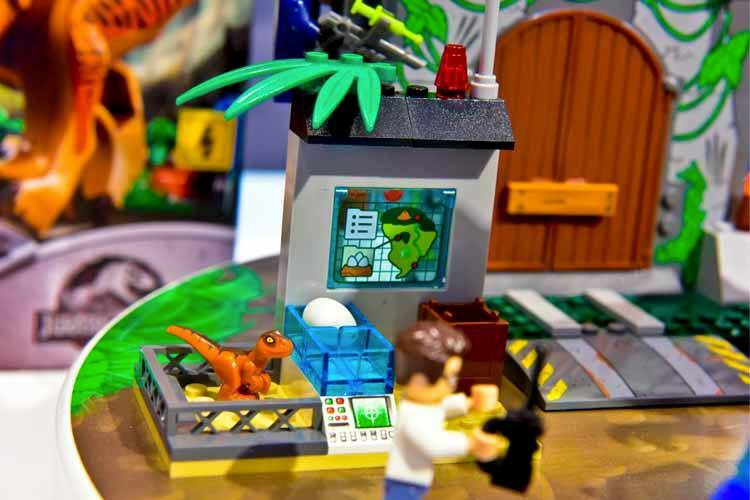 The 2018 Nuremberg Toy Fair has and there are already some LEGO Jurassic World: Fallen Kingdom set sightings courtesy of Promobricks. 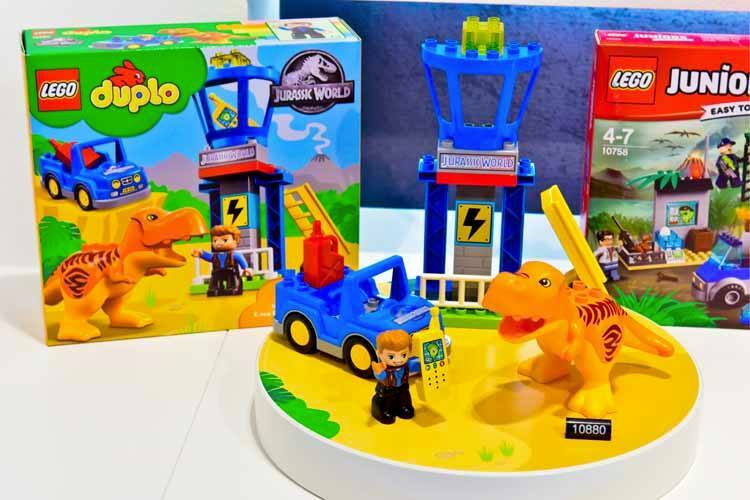 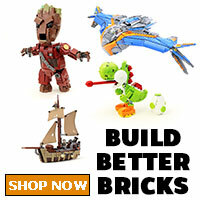 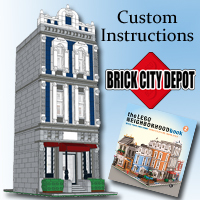 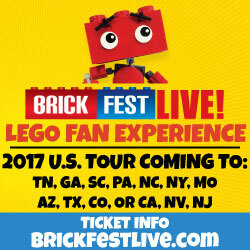 There are three sets that are shown off from the regular sets to LEGO Juniors, and LEGO DUPLO. 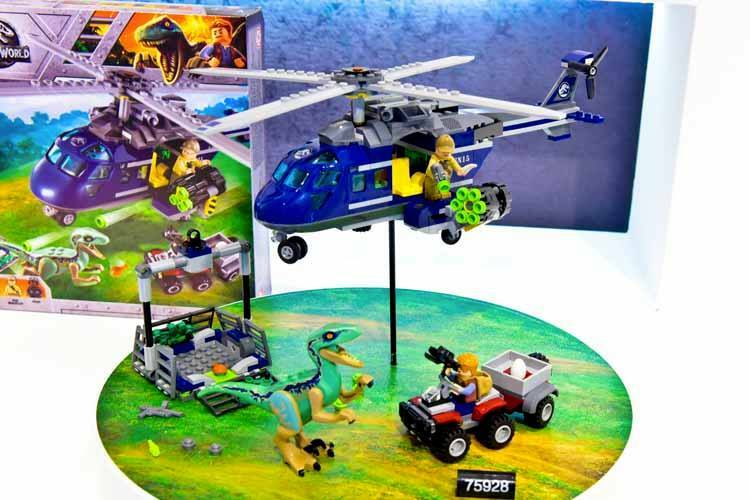 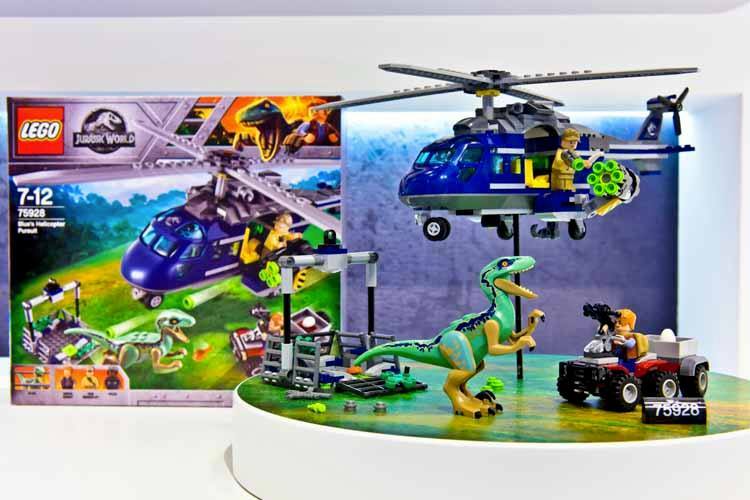 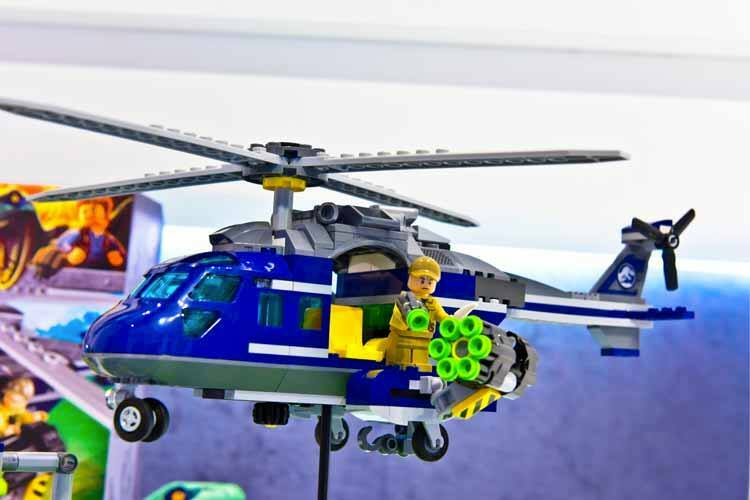 Set 75928 consists of Owen and another character along with a Raptor and the set features a helicopter and a small ATV. 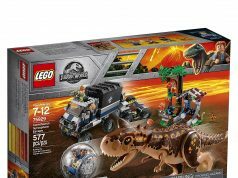 The Juniors set (10758) consists of what appears to be Ian Malcolm and Claire along with a T-Rex and a small truck. 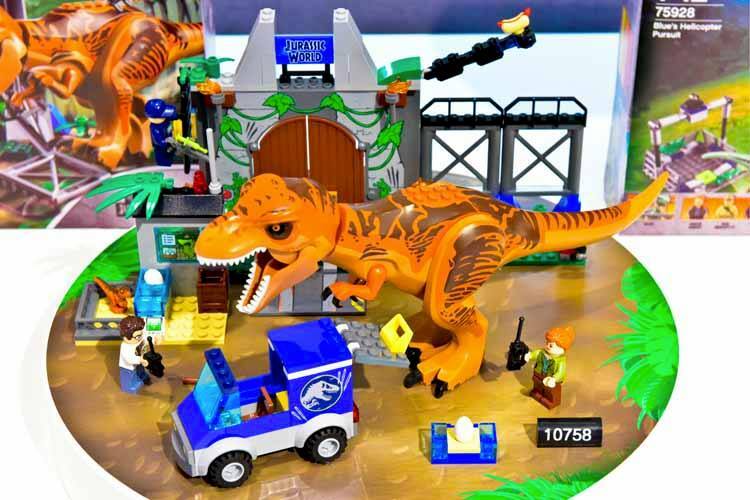 If you look closely, there’s also a baby T-Rex as well. 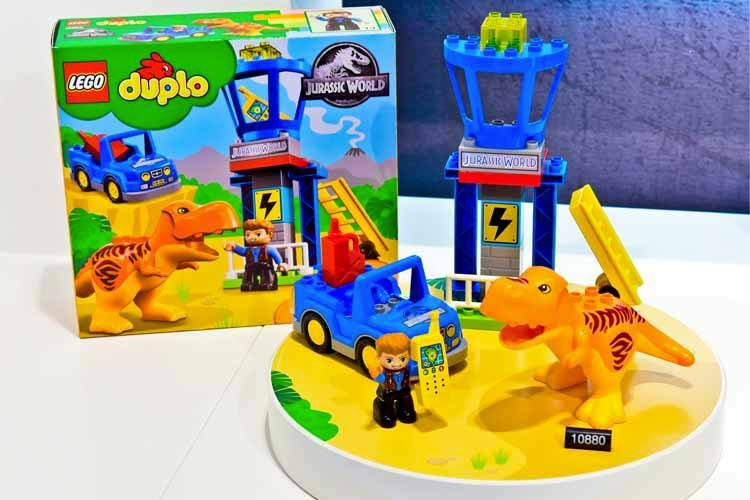 The DUPLO set (10880) has Owen and a T-Rex in the usual DUPLO form alongside a truck and a tower.